Thermal imaging in home inspections provides further insight by showing a thermal reading of an area of the home. The image shows thermal energy as a spectrum of color to signify the amount of heat emitted from an object. Variations in the color of the image mean that there are areas of coolness or heat that may signify different issues with the home. Taking an infrared image of a water stain on a ceiling or wall can reveal whether the water stain is an active moisture intrusion problem since the color will vary. When inspectors use thermal imaging in home inspections, water stains are scanned with the infrared camera to detect a temperature difference between the stain and the rest of the ceiling or the wall. This can provide valuable insight about the stain and if there are current moisture intrusion issues. Thermal imaging may also expose water leaks that are not yet visible behind the walls and can help the inspector determine the source of a water leak. If an inspector uses thermal imaging in home inspections, it is standard to scan the electrical panel to check for overheating. When scanning a home with a thermal imaging camera, dangerous electrical hotspots can be identified that would be otherwise undetectable. Areas of heat loss also show up on an infrared image. If insulation is missing in a part of the wall or attic, the color will show up as darker on an infrared image, while it would look normal to the unaided eye. Thermal imaging in home inspections can also pinpoint areas of heat loss around windows and doors. 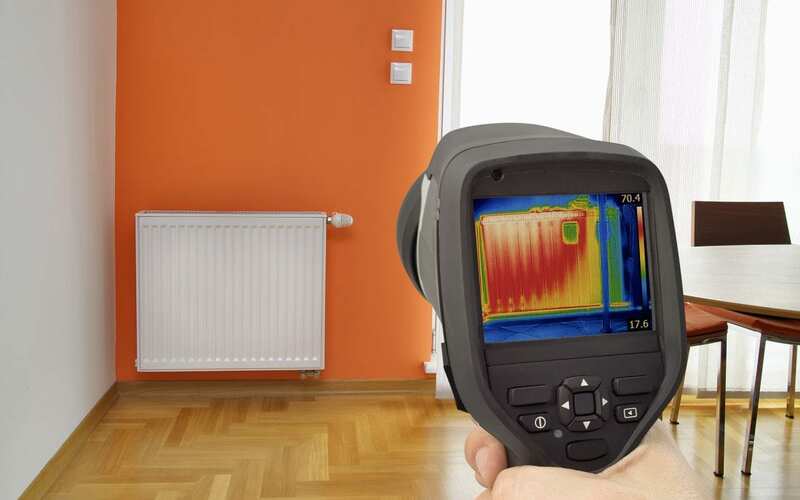 When you are choosing a home inspector, ask whether the company uses thermal imaging in home inspections and chose an inspector who does to get the most out of your inspection! Gable Home Inspections provides home inspection services to Southwest Florida. Contact us to schedule an appointment or discuss your inspection needs.